“The Ring of the Nibelung” is a legendary opera cycle by R. Wagner. 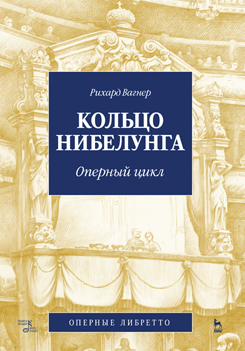 The libretto of the operas, created by the composer, was translated into Russian in the beginning of the 20th century by V. Kolomiytsev. Unlike the other translations, this bilingual publication, which is “adopted for singing”, conveys all the peculiarities of the metaphorical poetic language of Wagner and preserves musical — intonational form of the original. The publication is intended fi rst of allfor the soloists-vocalists of opera theatres and the students of vocal departments. It will also be interesting for the admirers of R. Wagner’s music and all the enthusiasts of opera.